Looking for Leather Restoration in Los Angeles? 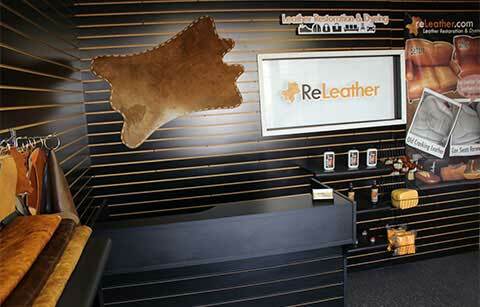 ReLeather has been dedicated to leather problem solving in Los Angeles for years. We know from decades of experience the variety of needs and challenges involved in owning quality leather. Leather Cleaning, Leather Restoration, and Leather Reupholstery are some of the service options available to help preserve and restore your quality leather furniture, car seats, handbags, jackets, and other leather goods. Owning leather is an investment that requires proper care and maintenance. Fixing normal wear and tear is not easy. Customers often try Do-It-Yourself leather kits and ultimately get poor results for their money! Thats where we come in! Leather restoration is what we do! We are licensed and experienced leather restoration specialists in Los Angeles. We know the needs and challenges of leather owners. We offer full leather service options that keep your leather looking like new and feeling soft and supple. What are some of the challenges of owning leather? Living in LA means getting a whole lot of sunshine. The downside for your quality leather is the sunshine! Excessive ultraviolet light (UV) exposure can prematurely fade the color of your leather over time. Leather is prone to color fading. We offer Leather Restoration which restores the original color and finish of your leather. When customers ignore cleaning and conditioning their leather, the leather surface can feel dry and stiff to the touch. Dry and cracked leather can become easier to tear and wear down. We offer Leather Cleaning and Conditioning which replenishes the natural oils of your leather to restore a soft and supple hand. Please feel free to contact us and schedule an appointment.